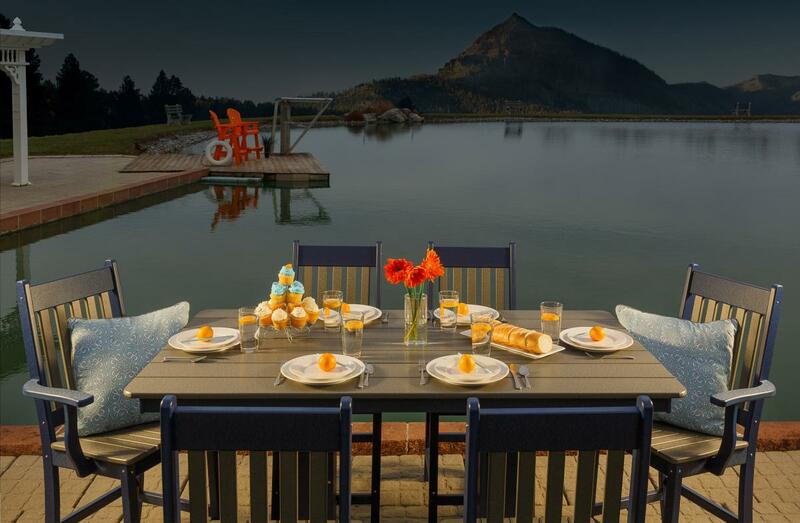 Tabor Hill Woodshop has been an innovator in the outdoor furniture industry for years, and they are continuing this innovation with the release of their poly bar table and patio stools. These new products bring the fun and convenience of a home bar to your backyard, transforming your backyard or patio into a summer party destination. Made with durable poly, the bar table and stools are built to last, and able to endure tough climates. Poly furniture is virtually maintenance free; just wash with soap and water and your bar and barstools will look like they just came off the line. Also, each piece of poly is treated with UV pigment systems. This technology allows your bar and bar stools to hold their bright and vibrant color for years. Whether you own a house by the bay, or a scenic mountain cabin, Tabor Hill’s bar table and stools will serve you for years. To learn more about Tabor Hill Woodshop and their new product, visit their profile page.